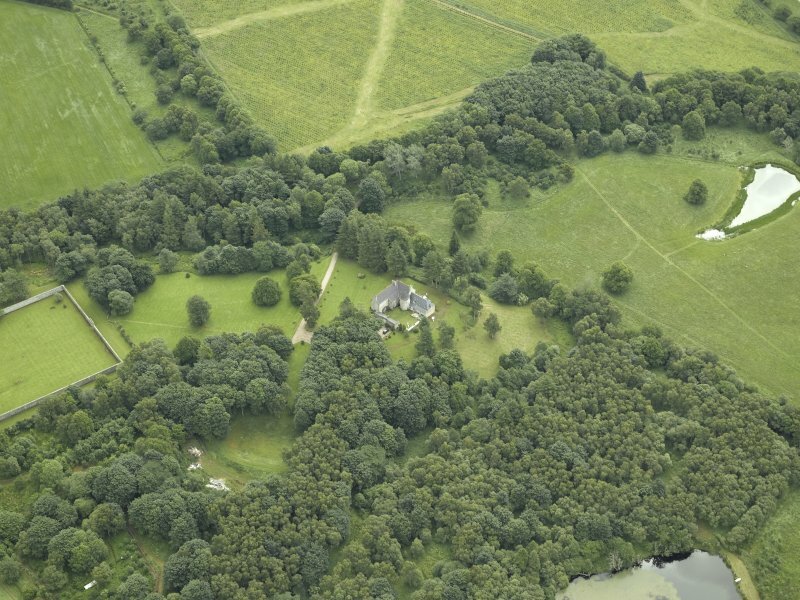 General oblique aerial view centred on the castle, taken from the NW. 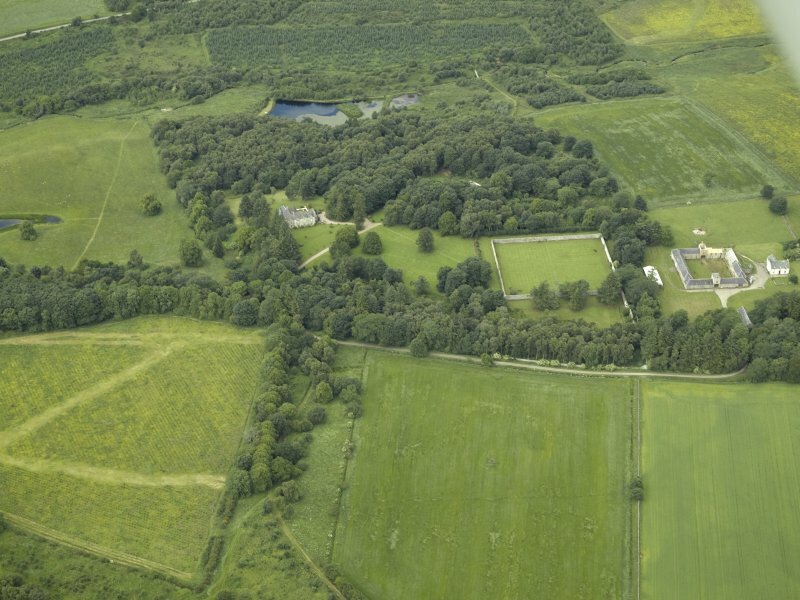 General oblique aerial view centred on the castle and walled garden, taken from the SSE. 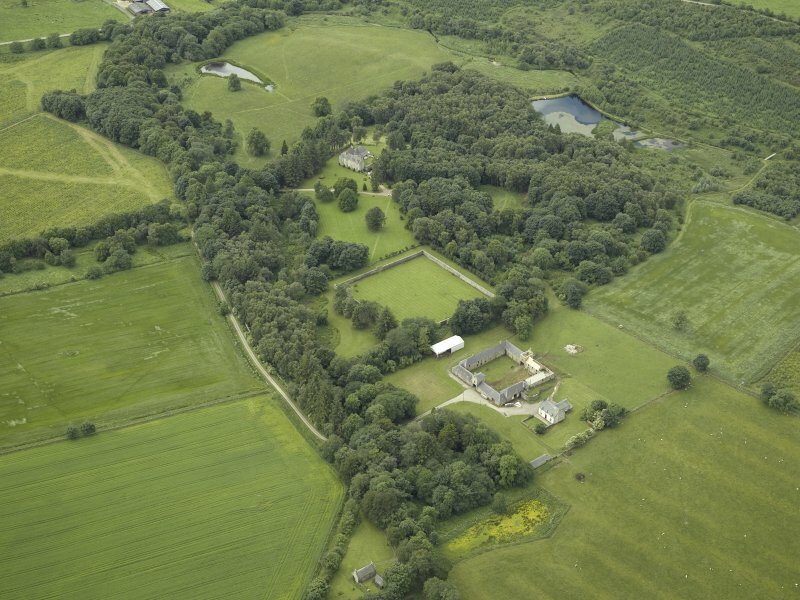 General oblique aerial view centred on the castle and walled garden with the farmhouse and farmsteading adjacent, taken from the S.
General oblique aerial view centred on the castle and walled garden with the farmhouse and farmsteading adjacent, taken from the W.
General oblique aerial view centred on the farmhouse, farmsteading and walled garden with the castle in the distance, taken from the NE. General view of garden walls and gateway. 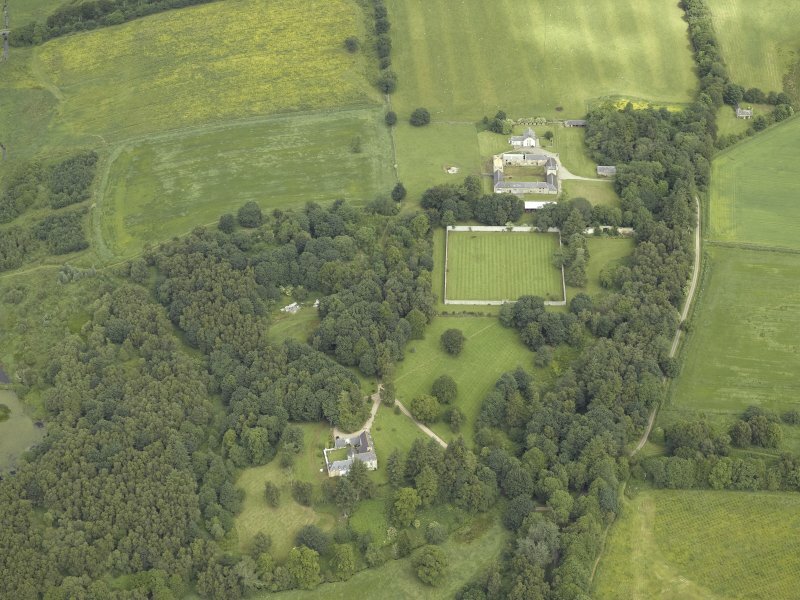 General oblique aerial view centred on the castle and walled garden with the farmhouse and farmsteading adjacent, taken from the ESE. 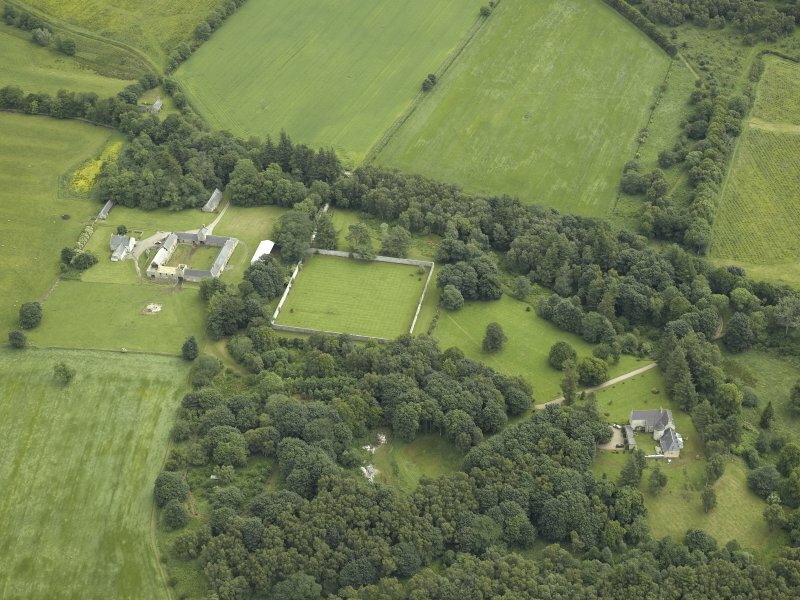 The older part of Auchintoul House dates from about the 16th century. The walls of this part are immensely thick and strong. The eastern wing of the house was built in 1711-12. A plain rectangular mansion. 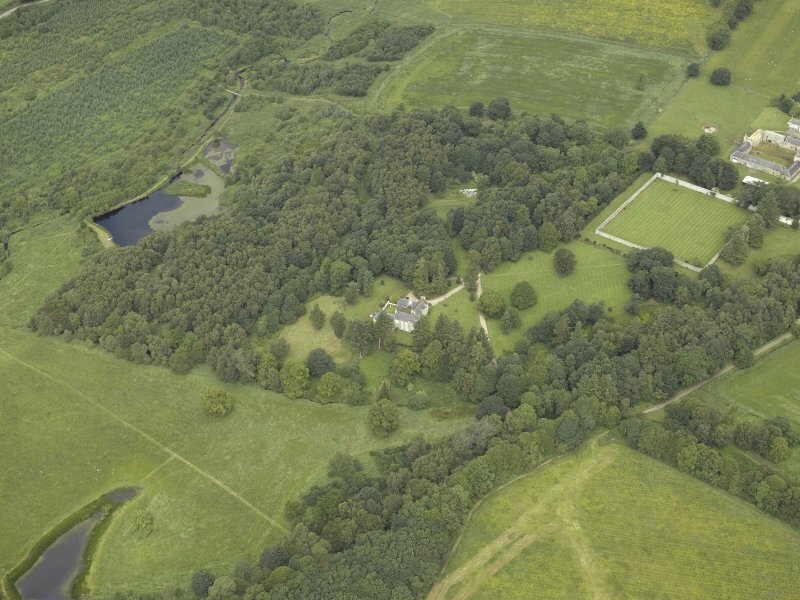 No date-stones were seen on the building and little evidence of antiquity with the exception of the walls of the west wing which are probably of the 16th century. The whole building has the style of early 18th century. The house is now semi-derelict and empty. Visited by OS (WDJ) 15 September 1964. Visited by OS (NKB) 24 August 1967. 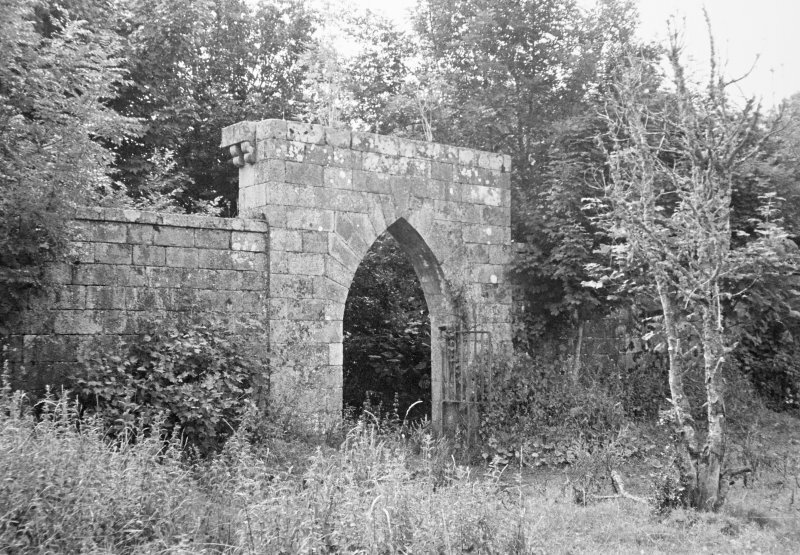 Photographic survey by the Scottish National Buildings Record in September 1964.